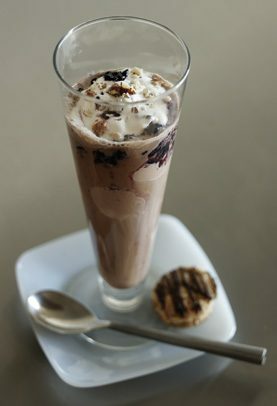 Get your coffee fix and satisfy your sweet tooth with this delicious summertime float. Pour the chilled coffee into a glass and add the ice cream. Spoon on the blackberry purée, then top with whipped cream and nuts. Makes 1 serving (or 2 if you feel like sharing!). For the whipped cream, whip a cup of heavy cream with a teaspoon of vanilla extract and a tablespoon of sugar until the cream forms a velvety, cloud-like texture. 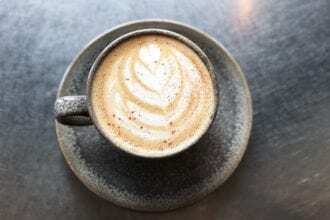 A spiced syrup sweetens this coffee drink from Washington, DC.